So today I came home early from work with a terrible headache. Managed a bit of sleep and now just having a quick time updating my blog before tea time. Fortunate that I have most of this ready to blog I have some super quick cards to share…. 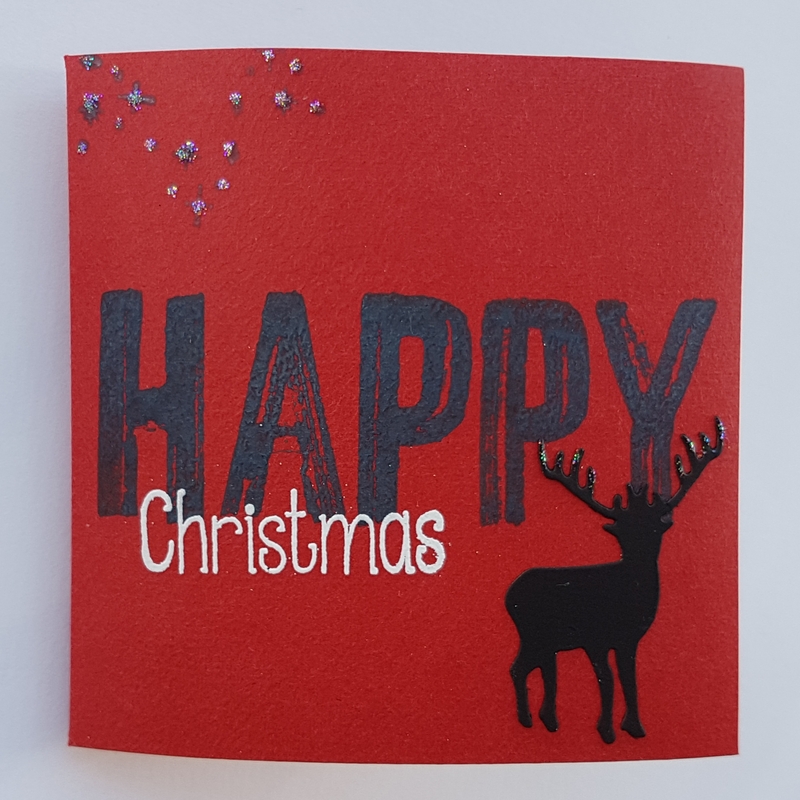 On all four I used the Happy stamp and stamped it directly onto the card blank using Distress Oxide in Black Soot. 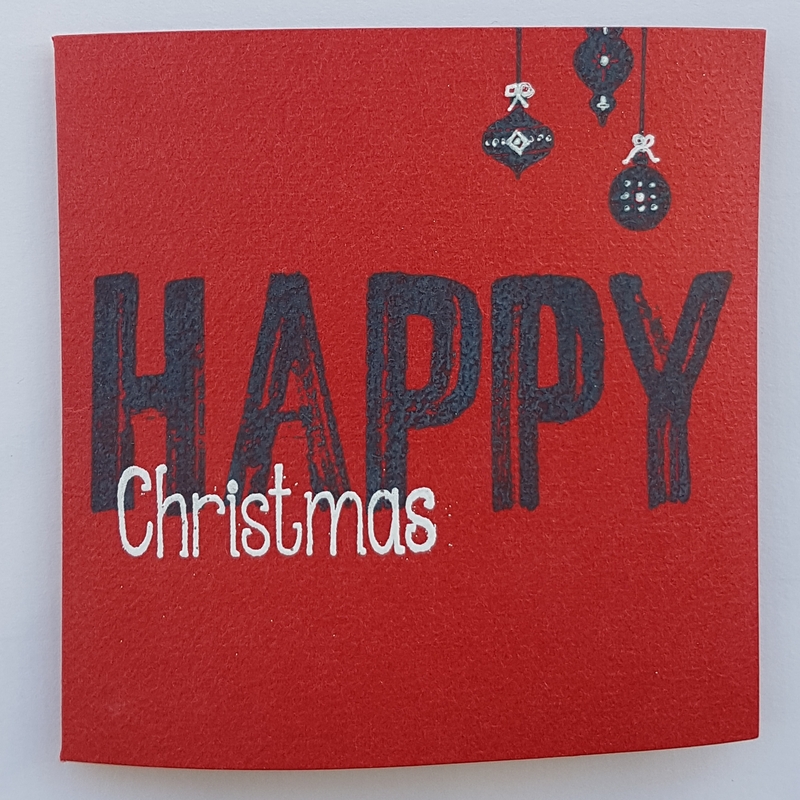 Then I heat embossed the word Christmas from a random set in my stash using white embossing powder. Then I embellished two using the hanging ornaments from the Carols of Christmas set and added some doodles in white pen. 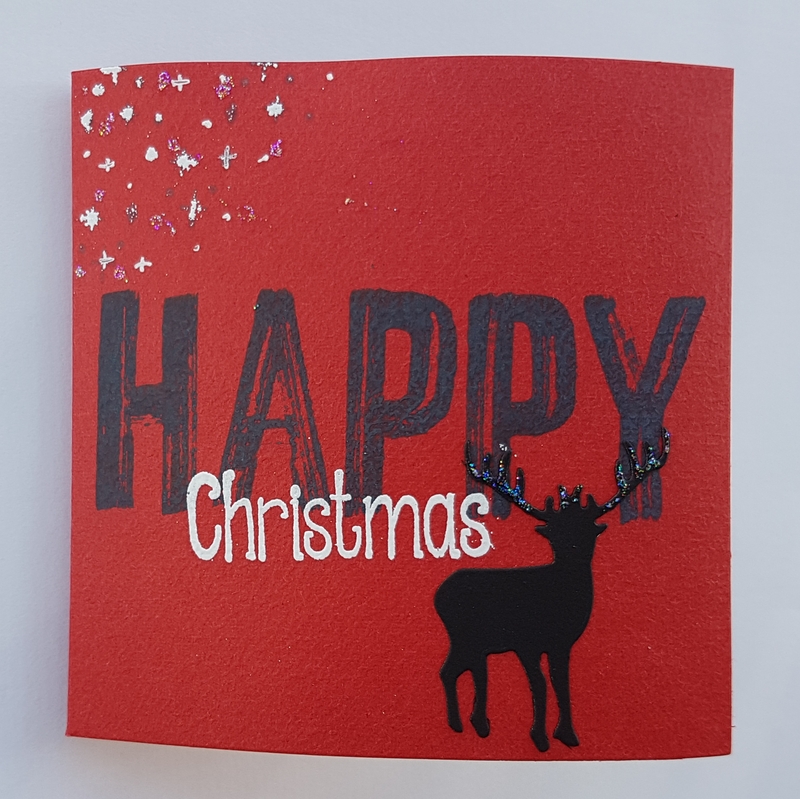 The second two I stamped some snowflakes and then added embossing powder and some glitter glue and then added a die cut Stag which I used black cardstock and added some glitter glue to his antlers. 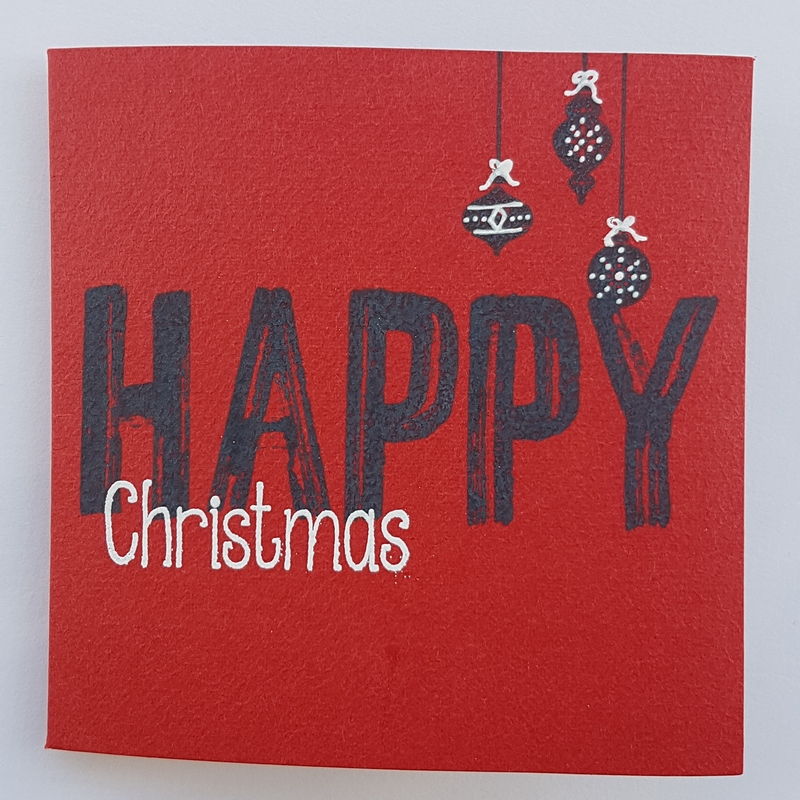 Really simple but effective cards!